Naples, Fla. (October 18, 2013) – The Naples area real estate market is outperforming last year’s third quarter activity as shown by three key real estate market indicators: sales, median closed price and inventory.The key indicators signal that the uptrend in the real estate market continues and it’s still a great time to get in. According to a report released by the Naples Area Board of REALTORS® (NABOR®), which tracks home listings and sales within Collier County (excluding Marco Island), the Naples area housing market’s third quarter 2013 Southwest Florida MLS statistics demonstrate: 1) a 22 percent increase in overall sales from 1,882 units in the third quarter of 2012 to 2,290 units in the third quarter of 2013; 2) a 24 percent increase in overall median home prices, from $190,000 in the third quarter of 2012 to $235,000 in the current reported third quarter; and 3) a 20 percent decrease in overall inventory from 6,195 units in the third quarter 2012 to 4,964 units in the third quarter 2013. Overall closed sales for the third quarter of 2013 increased 48 percent in the $500-$1 million segment, from 196 properties sold in the third quarter of 2012 to 290 properties sold in the third quarter of 2013; and increased 128 percent in the $2 million and above segment, from 36 properties sold in the third quarter of 2012 to 82 properties sold in the third quarter of 2013. 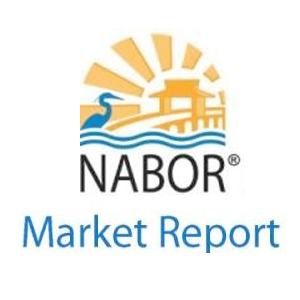 NABOR® President and Commercial Broker at Kunkle Realty, LLC,Wes Kunkle stated that the Naples housing market is a prime example of Economics 101. The overall average Days on the Market (DOM) decreased 18 percent from 174 days in the third quarter 2012 to 143 days in the third quarter 2013. Overall pending sales increased 8 percent from 2,362 in the third quarter 2012 to 2,548 in the third quarter 2013. Condominium closed sales increased 31 percent from 869 in the third quarter 2012 to 1,142 in the third quarter 2013. Naples coastal area overall pending sales increased 14 percent reflecting 439 pending sales in the third quarter 2013 compared to 388 pending sales in the third quarter 2012. Overall closed sales increased 45 percent in the $2M+ category from 213 closed sales 12-month ending September 2012 to 303 closed sales 12-month ending September 2013. Overall inventory decreased by 20 percent from 6,195 properties in September 2012 compared to 4,964 properties in September 2013. Pending sales with contingent contracts are included in the overall inventory number. Overall pending sales in the Naples coastal area increased 14 percent from 1,985 pending sales to 2,255 pending sales, and closed sales increased 17 percent from 1,759 closed sales to 2,066 closed sales for the 12-month period ending September 2013. Condominium closed sales increased 102 percent from 49 sales to 100 sales 12-month ending September 2013. “Demand for homes in the coastal area is driving activity in other segments due to reduced inventory,” said Kathy Zorn, Broker at Florida Home Realty, Inc. “Your average days on market [DOM] for single family homes in this coastal area went from 215 days in the third quarter of 2012 to 131 days in the current third quarter. That’s a 39 percent decrease of days on the market, and the DOM decreased a whopping 62 percent from 249 days in September 2012 to only 95 days on the market in September 2013.